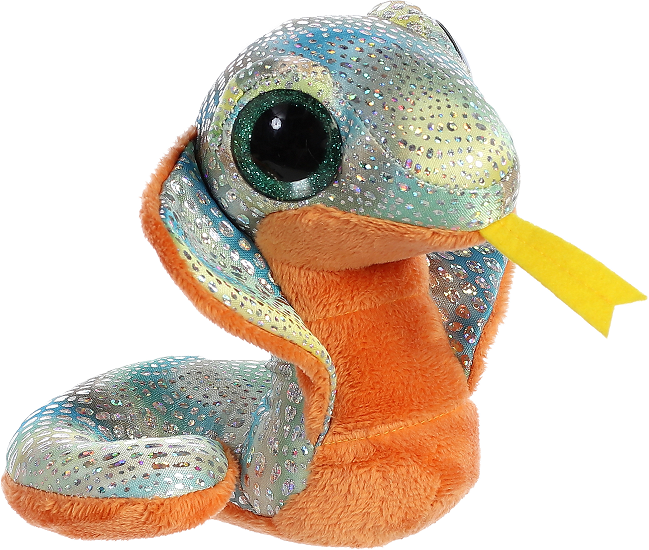 No need trying to charm this amazing snake as he will be the one charming you! Meet Charmer, this adorable plush cobra from the YooHoo and Friends collection. 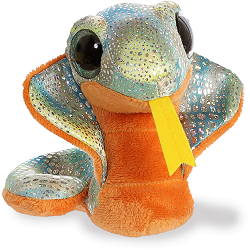 Not only is this King Cobra stuffed animal cuddly with its soft orange tummy and delightful with its shiny skin and glittery green eyes, but it is educational as well as you learn where Charmer calls home and other fun facts about King Cobras.